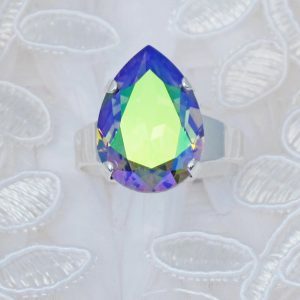 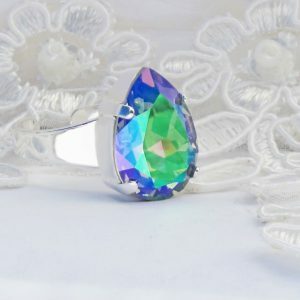 Simply beautiful ring, mounted with a large teardrop faceted Paradise Shine, violet and green Swarovski crystal with prong detailing. 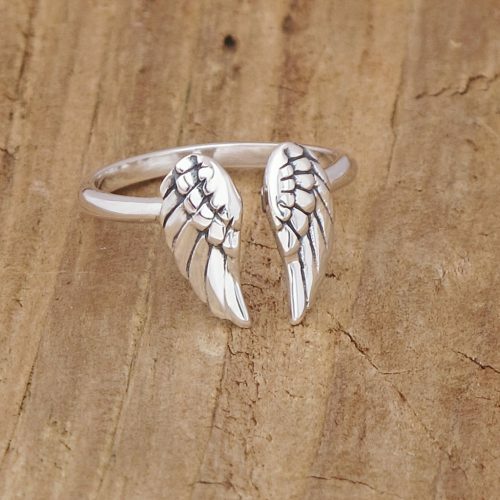 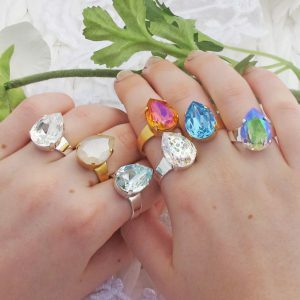 Polished silver plated adjustable ring sized from approx UK L to UK T and US 6 to US 10, the ring is perfect for that special occasion or as a pop of colour and sparkle for everyday! 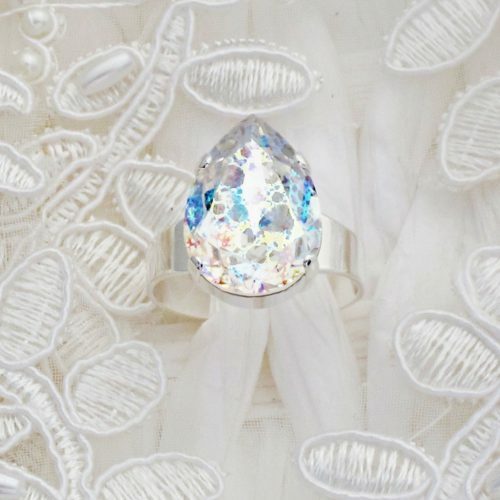 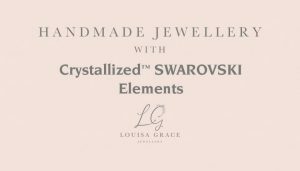 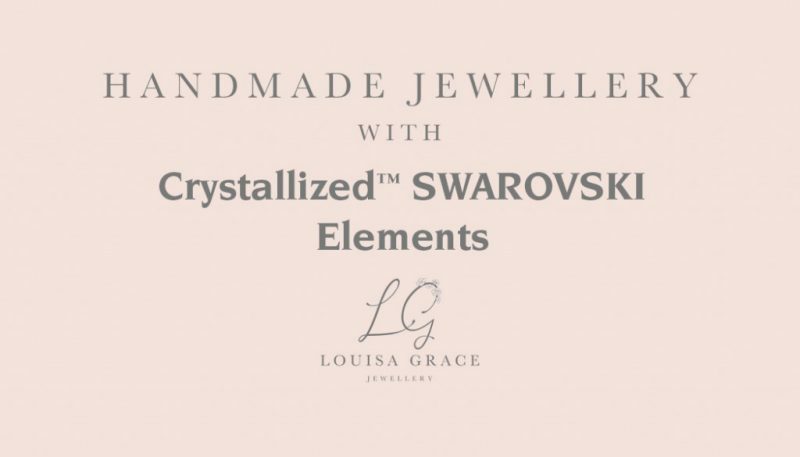 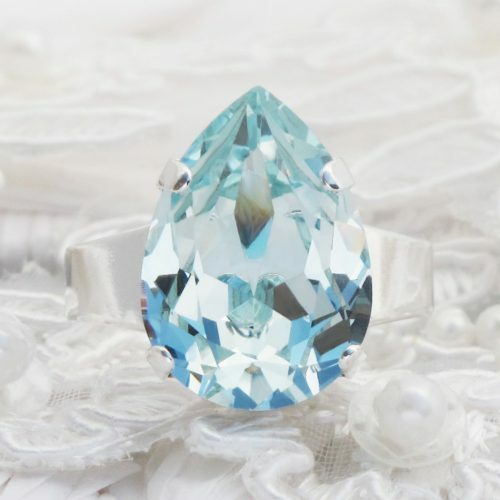 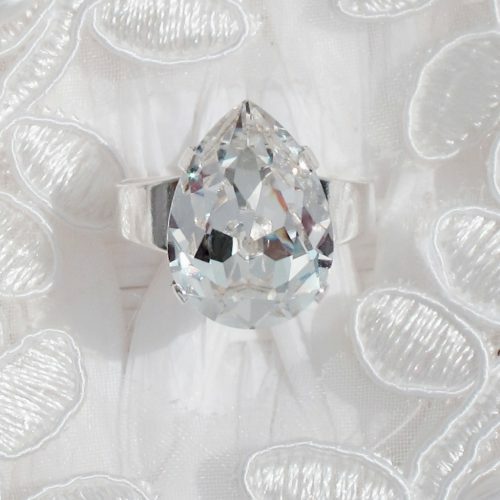 Rings are designed with foiled back CRYSTALLIZED™ – Swarovski Elements.